Children's Hospital Los Angeles has been involved in cystic fibrosis (CF) care, education and research for more than 50 years. We provide care for approximately 700 patients with cystic fibrosis annually at our hospital and its affiliated sites. Because of our expertise, patients are referred to us from all over California and the United States. We are one of only four CF centers nationally recognized as an outstanding partner of the Cystic Fibrosis Foundation. Our center is also affiliated and selected to be part of the Cystic Fibrosis Foundation’s (CFF) Therapeutic Development Network (TDN). TDN is comprised of approximately 70 cystic fibrosis centers across the country that participate in CFF sponsored clinical trials. 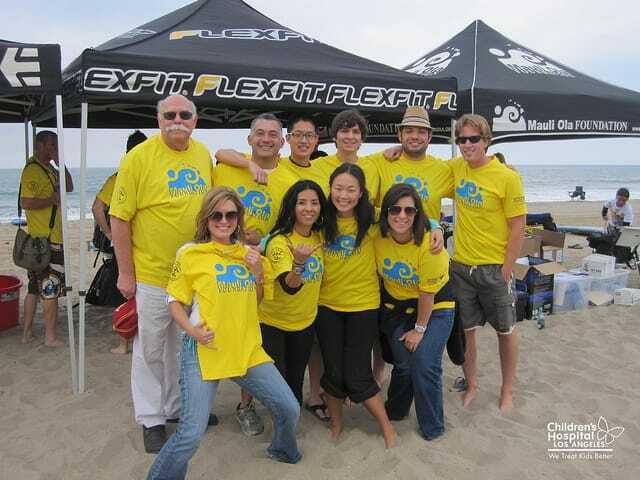 We are a core cystic fibrosis center in Southern California with four affiliate centers located throughout the region. Our Center uses a team approach to care for infants, children and adolescents with cystic fibrosis. At each visit, patients are assessed by a dietitian, social worker, respiratory therapist and nurse care manager, and occasionally a research nurse. We have two dedicated half days each week where patients can get care from our specialists in one visit, approximately every three months. We strive to provide the best and most effective patient care and have modeled our care after the Cystic Fibrosis Foundation's Clinical Practice Guidelines. We are part of TDN and as such we will be involved in a number of Cystic Fibrosis Foundation sponsored clinical trials. We have been selected as a clinical trial site for one clinical trial called the Vertex research study. This study consists of new medication for CF patients who are homozygous (two copies) for the F508 del, deletion mutation of the CFTR gene. We are also involved with the Gilead CAT (Continuous Alternating Therapy) study. Effect of residential proximity to major roadways on cystic fibrosis exacerbations. Jassal MS, Yu AM, Bhatia R, Keens TG, Davidson Ward SL. Int J Environ Health Res. 2013;23(2):119-31. doi: 10.1080/09603123.2012.708917. Epub 2012 Jul 27. We have established an active board of CF advocates who intend to give families and patients diagnosed with CF a voice within the Cystic Fibrosis Clinic at Children’s Hospital Los Angeles and within our hospital. The advisory group is a collective of parents from a diverse mix of ethnic and socio-economic backgrounds, with children of varying ages who live with CF. All newborn infants in California are provided with a cystic fibrosis screening. This screening is the most sophisticated and sensitive testing method available for genetic mutations related to cystic fibrosis. Patients between the ages of 18 and 21 get transferred to the Adult Cystic Fibrosis Clinic at Keck Hospital of USC. Our clinic staff play an active role in preparing patients for a comfortable transition to their new clinic. A specialized cystic fibrosis pulmonologist remains on-call 24 hours per day for emergencies. For emergencies or urgent needs after hours, children and teens are seen in our Emergency Department. A central aspect of our philosophy is to educate our patients so they can attain as much independence as possible. At age 8, we begin to encourage self-sufficiency by teaching children how to monitor their own health. We coordinate an annual Cystic Fibrosis Education Day to empower families and provide them with the opportunity to participate in discussions covering a wide range of medical care and research topics. Families are able to interact with others going through the same experience and gain knowledge on a variety of topics. Our Center provides parents with an educational DVD we have created, which is approved by the Education Committee of the Cystic Fibrosis Foundation and distributed nationally. CF Family Education Day (date for 2014 to be announced later this year). California Western Consortium -Children's Hospital Los Angeles is part of the Cystic Fibrosis California Western Consortium. The goal of the consortium is to assess the ongoing issues cystic fibrosis centers face, and the evolving changes in treatments.